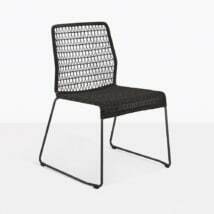 The Luci outdoor dining chair is a delightful yet sophisticated mid-century design. 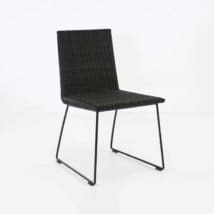 Made with a powder coated steel frame and beautiful strong synthetic fibers that resemble real natural looking strands. 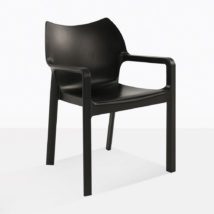 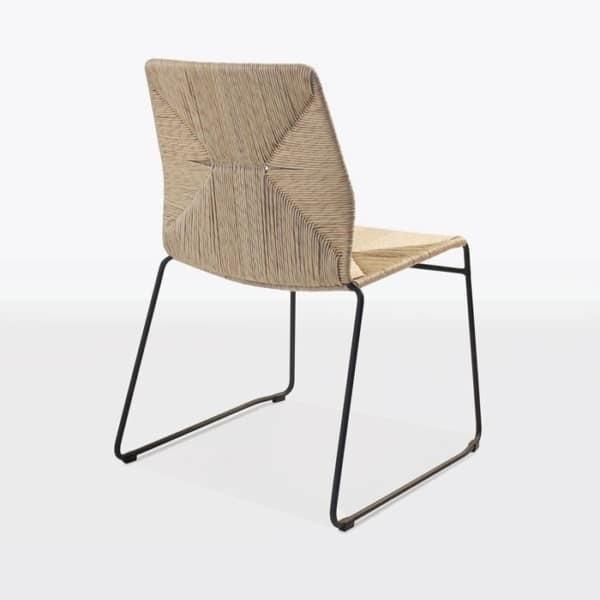 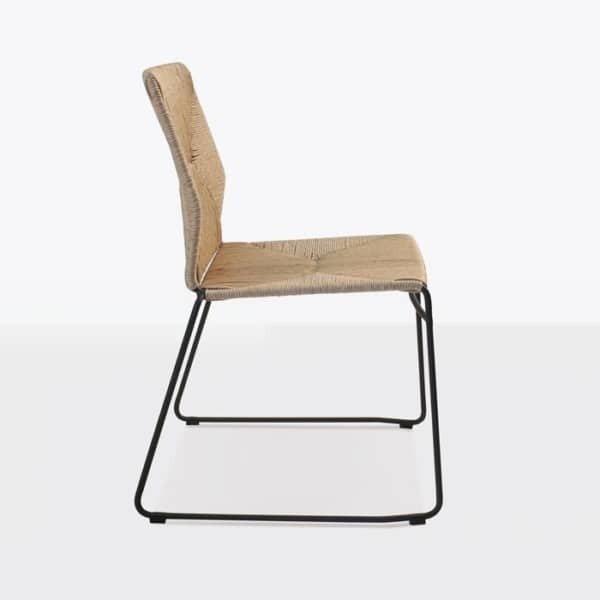 The warm blonde color of the seat adds a light, airy and coastal vibe, while the black color of the frame shows off the interesting curves of the overall chair. The pattern and expertly woven fibers create a beautiful angled checker design that is smooth to the touch. 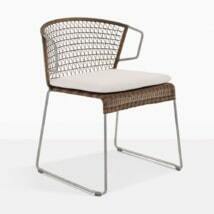 You can choose to pair this chair with many of our outdoor dining tables depending on your taste and available space. 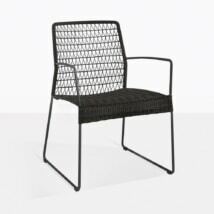 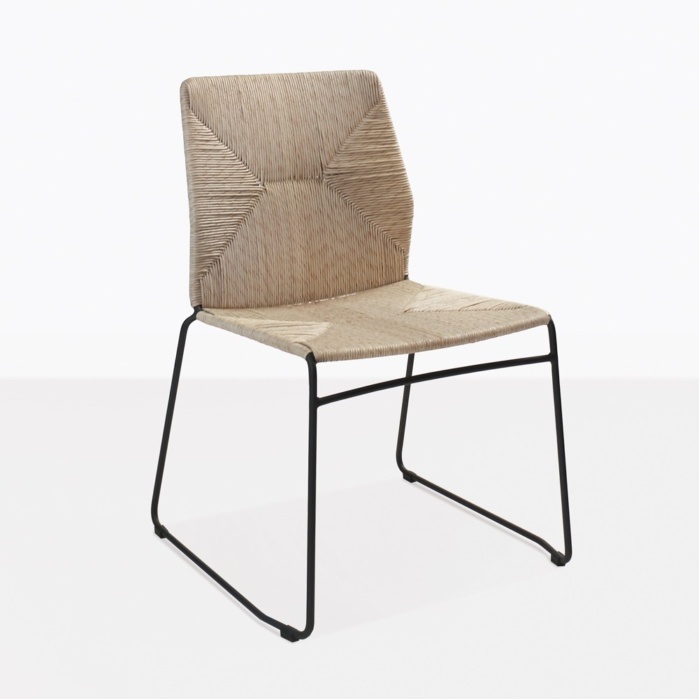 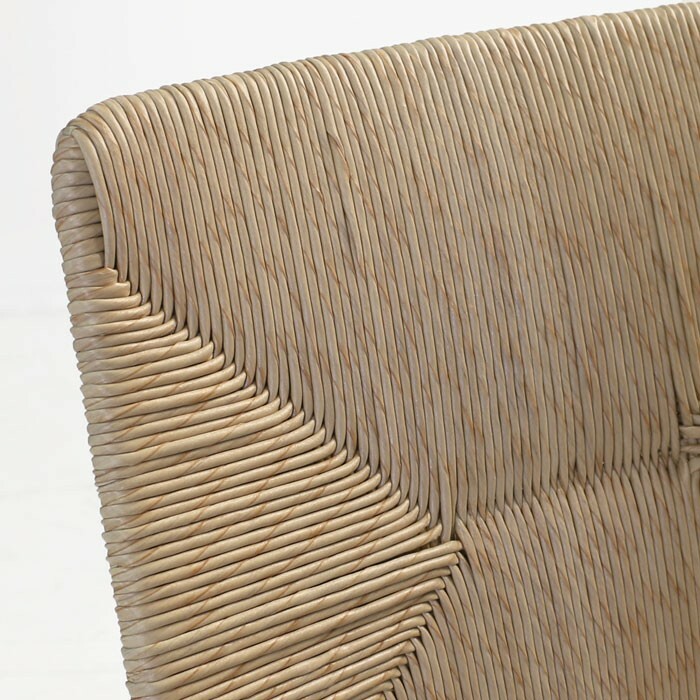 This chair is perfect for outdoor dining and will add instant style that begs to be discussed.